I’ll admit it, I’m a skeptic. I’m skeptical of anything that claims to be revolutionary, especially in my field. When I first started seeing software that was claimed to make strength & conditioning programming simple, I didn’t think twice about it. I was already using technology to make my job as a college strength coach “easier”. How anything could beat all of the freedom and abilities I had with Excel? I had spent a good deal of time designing, programming, and refining my own custom template system. I could create workout cards for an entire team with just a few clicks per athlete. From there it was inputting some data, printing, and finally, sorting the workout cards into the right folders. Prior to starting a career in strength and conditioning, I spent a decade as an IT professional. I know Excel thoroughly. But even after years designing training programs on spreadsheets, the process was still cumbersome and time-consuming. 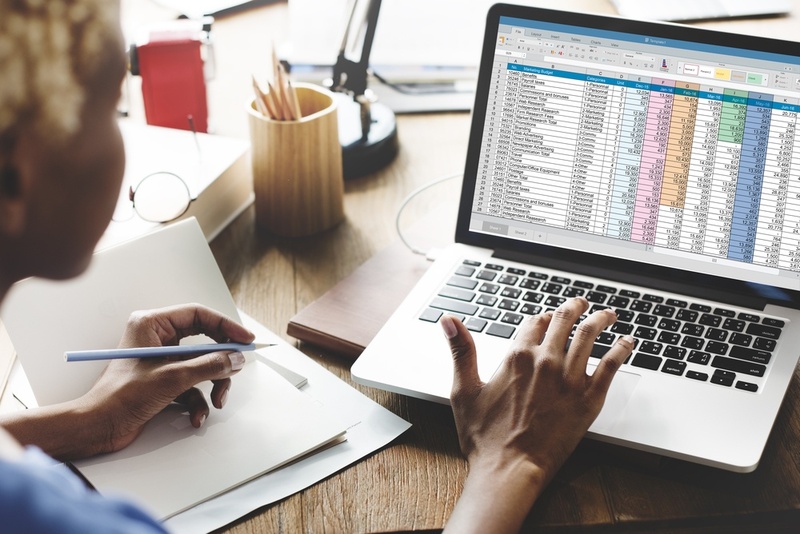 You can come up with impressive templates in Excel, but in the end, the program is for creating spreadsheets, not training programs. TeamBuildr, on the other hand, is software made for creating, storing, and sending training programs. 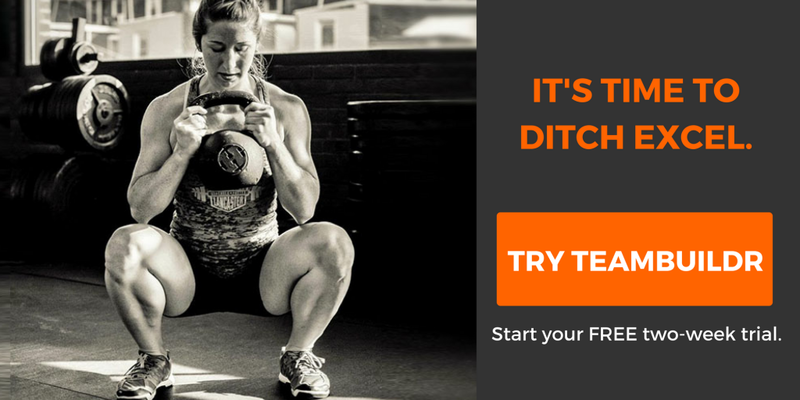 When you create a training program in TeamBuildr, you don’t have to spend any time changing the layout or adding visuals to help athletes better understand their workouts. When you start working in TeamBuildr, you’re immediately creating a program that’s instantly usable without wasting time on formatting. Exercise bank tags help you filter and instantly searching your exercise bank as you type. Instantly searching a predefined exercise bank is possible in Excel, however you’ll have to take some time on the front end creating categories of exercises, then filling in each list with specific exercises, and finally setting up drop-down lists and data validation references for each cell that needs to be able to access the exercise bank. In TeamBuildr, you can add your exercises to the bank and tag them by category ahead of time, or you can add them to the exercise bank, tag them, and add descriptions and video demonstrations all on the same screen while writing your program. It doesn’t get much more efficient than that. No printing workout cards. We can’t forget the biggest benefit of TeamBuildr. This not only saves time, but it saves on paper and printing costs. I’ve talked to several coaches who have easily received approval to purchase TeamBuildr from their administrators by simply explaining how much money it would save over time. Additionally, with your athletes recording their reps, weights, velocities, etc. you spend less time inputting and manipulating data. And because the software is web-based it is accessible anywhere at any time! Do I still use Excel? Occasionally, if I need to create very fancy and specific templates and reports. But when I need to get work done, TeamBuildr is my software of choice.